← Mars Celebrates 20-Years in Russia! And How I Got My Piece of the Berlin Wall. A Superhero for Sunday – Cadbury’s P.B. Jammer! It’s a beautiful Sunday afternoon here in New York City. Though it was snowing just two days ago, today it feels like Spring is on its way. So I wanted to share something fun today, and something you can’t see anywhere else; the 1990’s superhero bar from Canada – P.B. Jammer! P.B. 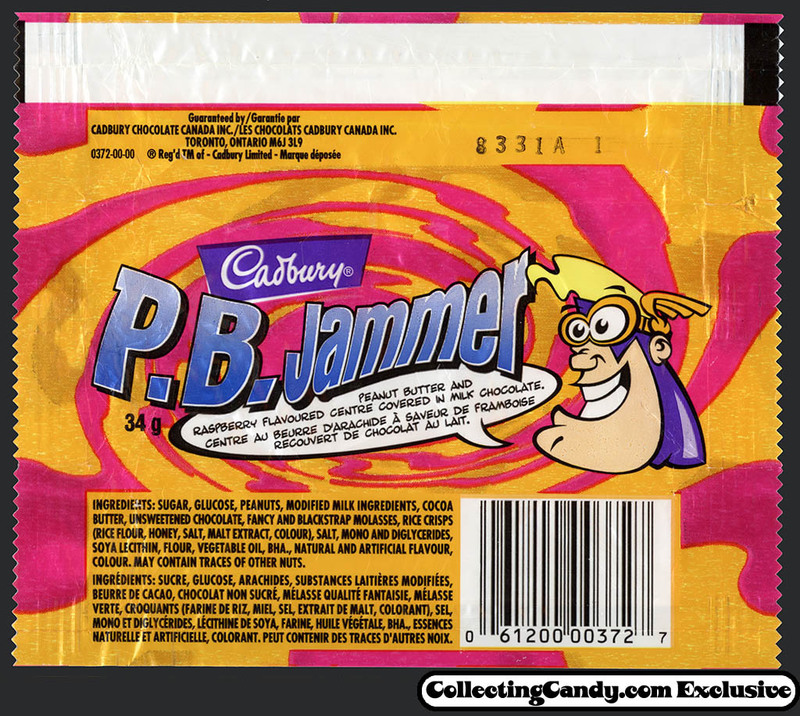 Jammer was released by the Canadian division of Cadbury, I believe during the 1990’s. As the name implies, this was a kind of PB&J in a chocolate bar. 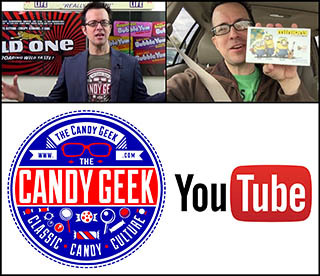 What I love about it is the name and comic book superhero mascot. Isn’t that a fun wrapper? And that’s everything I’ve got to share today on this neat little release from Cadbury Canada. This entry was posted in 1990's, Cadbury, Canadian and tagged 1990's candy, 90's candy, Canada, Canadian, Canadian candy wrapper, candy collecting, candy collection, candy collector, candy wrapper collection, candy wrapper collector, collectible, collecting candy, confectionery, confections, mascot, packaging, PB&J, peanut butter and jelly, sweets, vintage candy wrapper, wrapper. Bookmark the permalink.